Shany asks: Why is there no E in the grading scale? 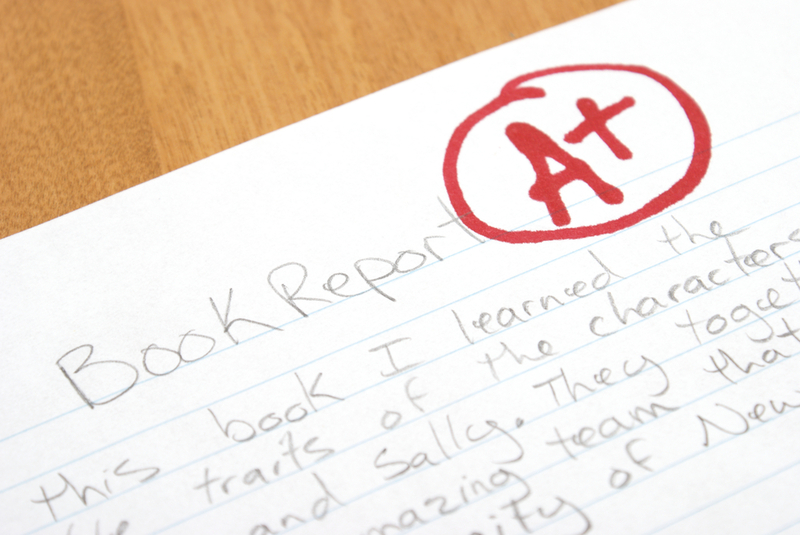 Some schools do hand out E letter grades instead of an F, but they are in the minority. A majority of schools in the United States, particularly beyond primary age, give grades of A, B, C, D, or F.
Rather than a failure on the part of academic institutions to know the alphabet, the simple answer is that “F” stands for “fail.” The other four grades are more or less considered “passing” (though in some districts a D is also a failing grade), which is why they go in alphabetical order. The F is considered separate as it denotes a failing grade, and does not need to go in alphabetical order. It just so happens that “fail” starts with a letter that skips one letter alphabetically on the scale. That said, E was used at one point. The first college in the United States to use a grading scale similar to the one we know today was Mount Holyoke College, an all-women’s university in Massachusetts. For a while, Harvard had a numerical grading system where students were graded on a scale from 1-200 (except for math and philosophy classes, which were 1-100). Yale had a four-point scale in 1813, switched to a nine-point scale somewhere down the track, and back to a four-point scale in 1832. In 1883, there’s a single reference to a student earning a “B” at Harvard, but historians haven’t found additional documentation to back up the idea that a letter grade system was actually in place at that point. It is known that just a few years later, Harvard had a system of Classes in place—students were either Class I, II, III, IV, or V, with V being failing. Over the years, the letter grading scale became popular across colleges and high schools alike. A lot of schools skipped E and went straight to F. Apparently, some teachers were concerned that students and parents thought E stood for “excellent,” though there is no evidence suggesting that they thought A stood for “awful,” so it’s possible that schools were just trying to simplify the scale. After World War II, some schools—many in the Midwest—decided to go back to E, getting rid of F.
In truth, any letter could stand in for E or F and still mean the same thing. Some schools use “U” for “unsatisfactory” or N for “no credit.” Educators could use just about any letter and it would amount to the same thing. It is simply an indicator of a non-passing grade. The grading scale itself has been marked with an F (or E, or U, or N) by some people who believe it is no longer a relevant way to judge students’ work. For one thing, there are variations across institutions. Some schools use + and -; some don’t. Some say an A is 90% and up, or 93% and up, or 95% and up. Some consider a D to be a failing grade rather than a passing one. Critics of the grading scale believe a written analysis of students’ work would be more effective in terms of feedback, but they recognize that students and parents probably wouldn’t read them and teachers, who are often overworked as it is, don’t have time to write them anyway. Letter grades are just an easy way to generalize a student’s performance; so despite the discrepancies between schools, they’ll probably be around for a long time. Did Albert Einstein Really Fail at Math in School? Finland had one of the highest-ranked education system in the world for many years, but they lost out in 2013 to Japan. The UK rang in at #3 in 2013; Canada #7; and the United States #18, out of 200 countries considered. Surprisingly, Japan only spends and average of $10,596 per student and Finland just $10,157. In contrast, the U.S. spends $15,172 per student, the highest of any country. That’s about 2.5 times more per student than the #17 ranked Estonia, which is one ahead of the United States. According to the National Center for Education and Statistics, around 50.1 million children were attending U.S. public schools; 5.2 million were in private schools; over 1.5 million were homeschooled; and 21.8 million people were attending university. With record numbers of students attending university, around 2 million high school students took 3.7 million Advanced Placement exams in 2012, trying to earn college credit. Advance Placement exams are graded on a 1-5 scale, with 5 being the best. The minimum score to earn college credit is a 3, with many universities requiring a 4 or 5 on individual exams. When taking an AP exam, correct answers obviously count toward your score, but wrong answers will knock points off your score, while answers left blank do nothing. Two major standardized tests that U.S. high school students take in order to get into college are the ACT and SAT. Colleges usually accept one or the other. The first is scored out of 36, while the latter is scored out of 2400. In some states, these standardized tests have been integrated into state standardized testing. In the UK, the dreaded E grade is much more common than the F. Again, they both mean you probably should have studied more, so there isn’t much difference between them except for preference. 14% of adults in the U.S. are illiterate, according to the National Assessment of Adult Literacy. A further 29% demonstrated only a “basic” reading level. HUH … i still dont know why they dont use E – garbage writting. WHY USE 2 WORDS WHERE 1 WILL SUFFICE? USE OF “READING” RATHER NARROWS THE MEANING, WHEN THE GUY, FOR ALL THAT U KNOW, MAY B HIMSELF A GARBAGE. Aw come on.. you dont have to yell…. Who knows if teachers every considered this or not, but there’s the old trick of trying to ink your F into looking like an A before showing your parents. An F could easily be turned into an E by adding an line. Considering the discrepancies across schools of what cutoffs to use for grades (90% vs. 92% vs. 95% etc. ), I don’t think that’s a particularly big deal, but that may be from my college background. The difficulty of tests should be tailored to whatever grading system is used in that school, so that each school ends up with roughly the same grade distribution. I recall a college course where I got a 76% on a test, and it ended up being the highest grade in the class. I didn’t get a 76% because I didn’t understand the material, but because the professor just made the exam very challenging. So, if you go to a school that doesn’t grade on a curve, and where 95% is considered excellent, I’d expect the exams to be just a bit easier than a school where 90% was considered excellent. Now, if every school used the same curriculum and exams, this might be an issue, but that’s not how the system is set up. When I was in 2nd and 3rd grade in Chicago they used an E for excellent. G for good. S for satisfactory. You see, the Cambridge system (used worldwide) makes far more sense. 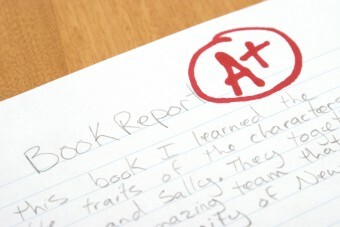 All external exams are graded on a curve so that differences in the difficulty of papers are taken into consideration. After they adjust your percentage they give you a symbol. You see, this is why the Cambridge (used worldwide) system makes far more sense. Their marking system is often rather complicated, but their reporting system is simple. Getting to the point, they convert your raw mark to a Percentage Uniform Mark. This is given as a mark out of 100. Then they give you a symbol. I believe a G (20-29) also exists. They also have little rules like A* does not exist on AS and even 99 will be reported as A. Another of their customs is to use lowercase for AS Level and uppercase for A Level symbols. Usually during school for tests and papers they do not go through the hassle of A, B, C etc but rather simply give the raw mark. It seems like far more guess work than the American system. Oops, slip of the mind. Far less* guesswork. Where I live, in Sweden, we have a grading system of A, B, C, D, E and F. E is passing and F is failing. I once got as reduced grade for writing in PENCIL. I should have gotten an A but I got a C.
Following basic directions was part of the grade. You earned that C and shouldn’t blame the teacher for following through on their system and not taking pity on those who don’t pay attention to easy instructions. Some teachers would have failed you for not caring to read and follow something they put time and effort into writing. In a work environment, you don’t continue to get paid if you don’t do basic parts of your job. You get fired. School exists to prepare you for such things. I’m a little surprised that the article didn’t mention this system, but it was informative just the same.